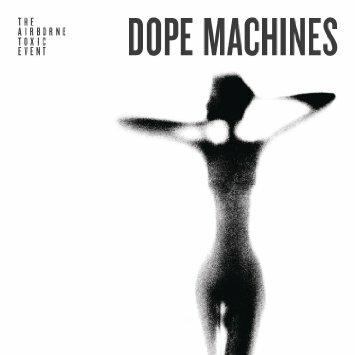 I’m not going to lie, I did not have high hopes for the new album from The Airborne Toxic Event. I’m not sure I’m even supposed to like them (or at least not to admit to it publicly) since they’re not quite mainstream enough to be truly popular, but definitely not weird or indie or hipster enough to be cool. But lead singer Mikel Jollett is a (former?) writer and essayist who named his band after a section of a novel (White Noise) and based a song and video on the short story The Hitchhiking Game (by Milan Kundera). I was intrigued enough to read the story (spoiler alert: it’s a bit depressing, but does help to bring some nice context to the song and video). And the excellent Such Hot Blood, which stood out even in the rest of 2013’s array of amazing music, was enough to get me to buy tickets to their show at the Vic (and I can generally count the number of concerts I go to in a year on one hand with fingers to spare). 1. Wrong – (Doge Nels says:) Such synth; such Casio keyboard drum line. And yet… And yet… I kind of love it. Mikel’s voice and lyrics are the same, and they ease the transition. The general mood and feel of the song is the same as most ATE… so it works. The first sign that not all hope was lost. 2. One Time Thing – Less Casio… Storytelling… Metaphors… Sort of fuzzy and gritty with a good build up to take us into the title track…. 3. Dope Machines – A little Jack and Diane hand clapping with the first real guitar riffs on the album. Continues to build from One Time Thing – another good thing that ATE does well: blending songs into each other (sequencing, I believe?). 5. Time to be a Man – Now I really want to hate myself for liking this one. Especially since I should be too old for it… but yeah, it still strikes a chord in my heartmind that say “Nels: it’s time to be a man.” More of those sharp, pointy details than the previous song, you can tell this is really something he felt; to the point where I can see him sitting down to write this song with a specific event in mind. 6. Hell and Back – I really like this one, but it almost seems out of place on this album. It’s kind of too much upbeat, pounding (I want to say thrashing, but that’s clearly not the right word – might be time for the Great Courses Vocabulary Builder…) Even my wife knows this… I put it on a mix CD for her (we have a CD player in our car, so I make Driving Mixes) and she didn’t like it, but I put Wrong, Time to be a Man, and Chains on the latest CD and we both like those in the car. 8. The Thing About Dreams – Yawn. At least give me a power ballad or something if you’re going to go slow like this… I’ve been listening to each of the songs as I write these reviews, and this is the first one I’ve had to skip through. Awful. I literally can’t even. 9. Something You Lost – Didn’t I just listen to this song and hate it? Pretty sure I did. At least take the fairly decent lyrics and put them with some music that doesn’t make me want to click the -> button as fast as possible. 10. Chains – Holy Hell. If ATE had left off the previous two songs, this album would only have 8 songs on it. (Fact!) But the entire album would be so much more awesome for it. This song gives me chills at the beginning. You can just tell that something awesome is coming. Build it up, guys. Build it. Call it The Storm Redux for the Dope Machines era. One final chapter to the story… I got an email from the band saying that they were releasing an acoustic album along with the electro one on the same day. Nice! I thought: Maybe that will make up for the two disappointments that I got when I bought the very reasonably priced Dope Machines off Amazon… except, oops: The acoustic album is apparently only available if you buy Dope Machines from their web site. Buzzkill! I feel like I should get the album for free just to make up for The Things About Dreams and Something You List (yes, those songs are really that bad). Instead, my plan is to write the band and see if I can send my Amazon receipt showing my purchase of Dope Machines in exchange for a download of Songs of God and Whiskey (which it seems you can’t even stream anywhere just to listen to it without buying it…).